Straw color. Aromas of ripe pears, honeycomb, and meyer lemon with a round, crisp, dry-yet-fruity medium body and a sleek, appealing, medium-long marzipan, mandarin orange, and coriander finish with fruit, fine tannins and no oak flavor. A delicious, weighty riesling to seek out. Bottom Line: A delicious, weighty riesling to seek out. Although many consumers believe Riesling is a sweet wine, there are all types, ranging from bone dry to ultra-sweet. 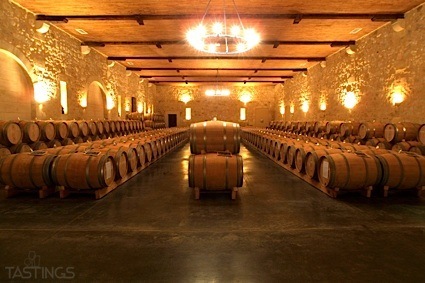 Offering a remarkable array of perfumes ranging from apricot and peach to peony and petrol, and having excellent natural acidity, Riesling is one of the world’s greatest wines. Germany is home to the most famous examples of Riesling; produced from vineyards along the Rhine and Moselle Rivers, these wines have tremendous character and minerality, owing to the slate soils these vines are planted on. Alsace, in northeastern France is another region that excels with Riesling (especially dry versions); the same is true for the Clare Valley in Australia, where Rieslings are often characterized by a petrol aroma. Dry versions work with many different types of foods, from seafood with cream sauces to pork, veal and duck. Sweeter version should either be served on their own or with blue cheeses such as stilton or gorgonzola. While it is safe to say that Riesling is an under appreciated wine for the typical American consumer, there has been greater popularity over the past few decades, as dry and off-dry Rieslings pair beautifully with Thai, Asian and fusion cuisine; thus Riesling is a wine directly linked to a healthy lifestyle. 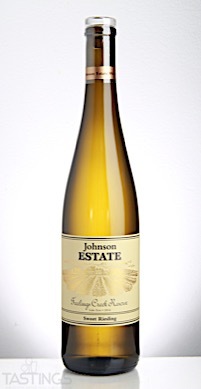 Johnson Estate 2016 Freelings Creek Reserve Sweet, Riesling, Lake Erie rating was calculated by tastings.com to be 90 points out of 100 on 12/13/2017. Please note that MSRP may have changed since the date of our review.